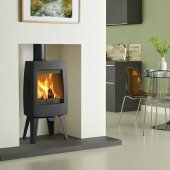 Featuring a cast iron, ultra-slim body, the Dovre Sense 200 wood burning stove will add instant impact and contemporary style to many homes. 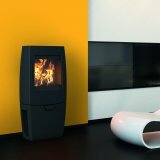 Incorporating sophisticated curving details, this Dovre Sense 200 is a compact yet powerful stove. With a heat output of up to 7kW, you can enjoy superb views of the beautiful rolling flames thanks to Dovres state-of-the-art Cleanburn and Airwash systems. The gorgeous box mounted 200 is capable of providing an 80% efficiency and can burn up to 33cm length logs. 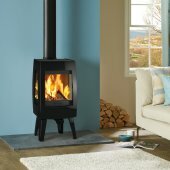 It is important that the correct research is carried out on the area you live in before you make a stove purchase. 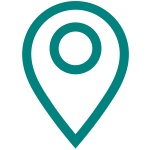 You can check what you can and cannot burn on the gov.uk and whether or not you require a smoke control kit. Find out now. A DEFRA Approved stove is a stove that you are able to install within a smoke controlled area of the United Kingdom. Please be aware that all stoves, supplied online and in store, when lit are hot to touch and will burn. Please take care with your fire and use always ensure a fire guard is used with children. When opening any stove door and adding logs it is also advised that a set of fire proof gloves are recommended. To shut down your stove is an controlled and safe manner, Bell advise that you close the air feed, which in turn will starve the fire of oxygen resulting in the extinguishing of the fire. Coal - Generally you will need to clean your fire grate prior to starting the lighting process of your stove. 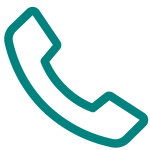 Having your chimney swept - Have your chimney swept on a regular basis. Please refer to HETAS for a certified chimney sweep. 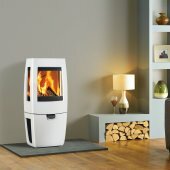 Dovre offer an Extended Warranty on all solid fuel, gas and electric stoves. 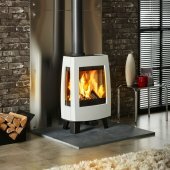 Solid fuel and Gas Fires & Stoves can be extended from the standard 12 month warranty to a total of five years, electric stoves can be extended a further 12 months to a total warranty period of 2 years.